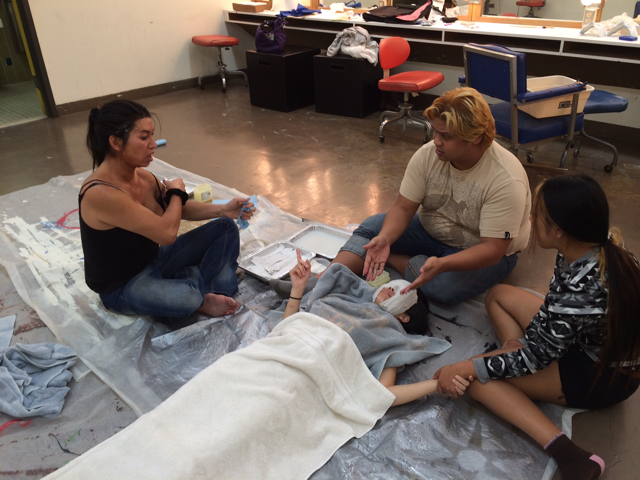 In 2013, PlayBuilders developed a new theatrical performance about identity and love based on interviews and stories compiled by the Honolulu LGBT community. Almost one year later we continue our dialogue with the LGBT community with the inclusion of collegiate stories from West O‘ahu. This new performance utilizes our previously collected stories, but is reworked and restructured with the additional interviews we acquired. 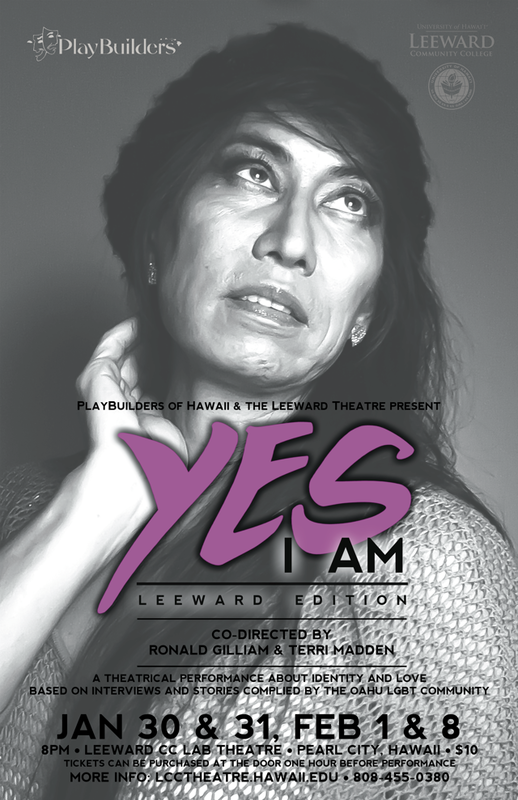 Yes, I Am: Leeward Edition is a celebration of the importance of diversity and inclusion. We invite you to join us in celebration of hardship, love, laughter, identity, and acceptance through the amazing stories from this often marginalized community. Script structured by Terri Madden. Edited by Wendy Miles & Katherine Nigh. A 40-year theatre veteran, Terri holds an M.F.A. in theater from the University of Hawai’i and is a graduate of the Cornerstone Institute, an organization that specializes in teaching the art of community collaborative theatre. She has written several community based plays including “Clinchco,The Day after Payday” which was produced in south western Virginia in collaboration with the Ralph Stanley Traditional Mountain Music Center in 2008 and 2010. Locally, her award winning play, “Appalachia, Hawai'i,” was produced prime time at the Earle Ernst Lab Theatre in 2010 and inspired the devised work she did with PlayBuilders very first fully staged community collaborative play, “Wahiawa Remember Wen…” This past summer she assistant directed and structured “Yes, I Am (Stories of Honolulu’s LGBT Community)” and is currently directing “Houseless in Paradise” by Dr. Mark Tjarks. She is a recipient of the Lisa Toishigawa Inouye Award for Playwriting and has received Po’okela recognition for performances in both straight and musical plays. Terri’s most recent performance was as the Russian poet, Anna Akhmatova, in Nancy Moss’s two person play, “Anna, Love in the Cold War” at TAG. for which she received Po’okela recognition as leading actress in a play in 2013. "I don’t make assumptions…like I used to because of the people I met and the people I interviewed [for the production]. That has a been a gift that has been life changing. I wish I could thank [the interviewees] for everything they’ve done for me."